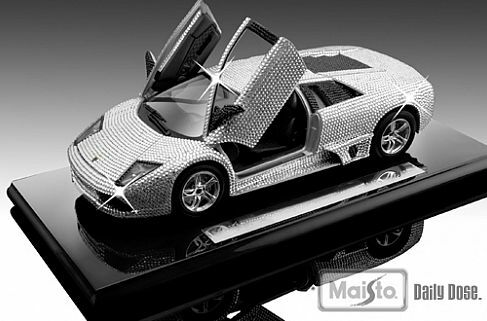 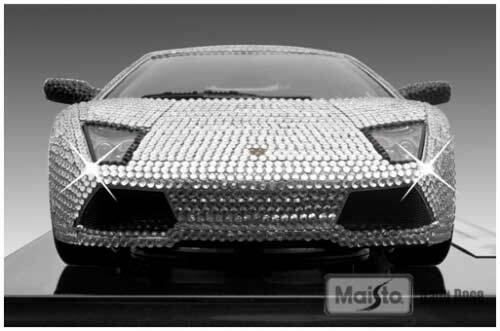 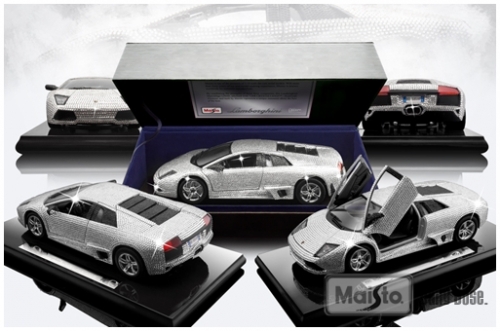 Lamborghini gets the “bling” treatment this time around, except that it’s the tabletop version that’s slapped with Swarovski crystals. 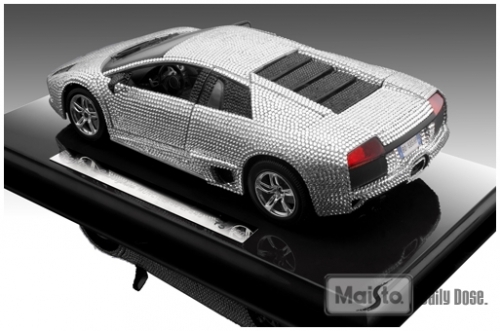 The Lamborghini Murcielago LP640 “Crystal Swarovski” does not come from Lamborghini house, but is an original factory-built by Maisto. 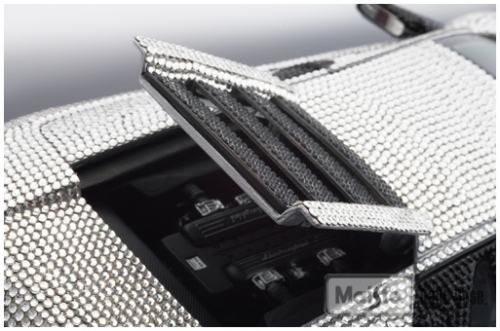 The lp640 CSE is packed in an opening leatherette case with blue felt insert rests on a black wood stand, and metal nameplate depicting the title of the unit. 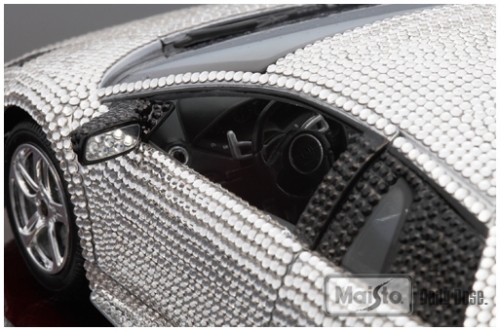 The crystallized version adorns a total of 7668 Swarovski elements.